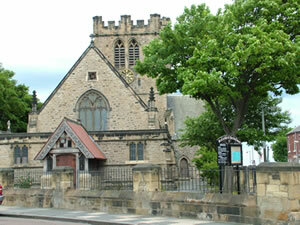 Our church was first established in 1751 and the present church in 1892. We have a modern thriving community and always bid a warm welcome to visitors. On our web pages you can find out about our history, what's on each week, the church calendar and who to contact. We hope you enjoy your visit to our site and look forward to welcoming you in person when you visit us. 6.00 p.m. - 7.00 p.m. Office Hour at the Vicarage, 29 Ridley Avenue. To book weddings and baptisms. No appointment needed. 10:00 a.m. Holy Communion in Church, followed by Coffee and Fellowship in the Hall.